Super clean. Nice set of +1,+2,+4 and UV filter. Priced right for the four of them. 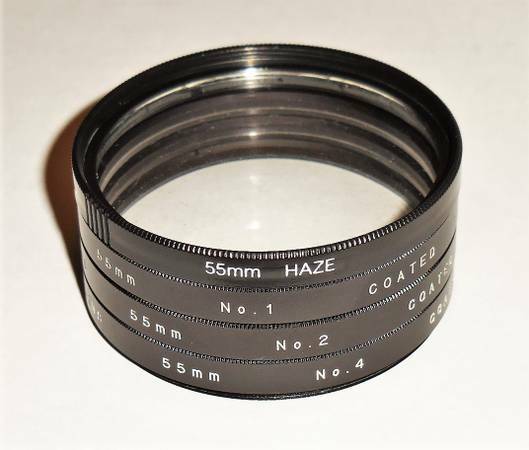 ALSO: Many other 55mm filters including ND, Pol, Y, R, and more. Just ask.